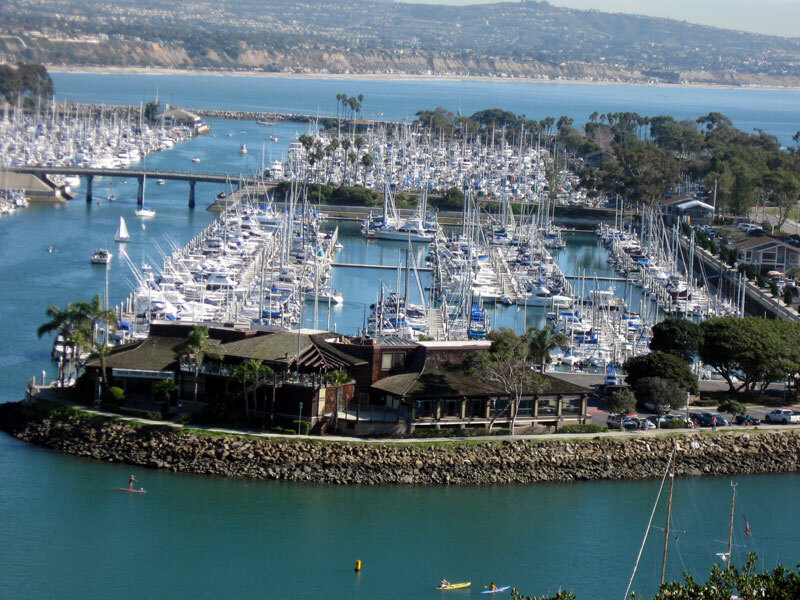 DANA POINT — Boaters should be aware of some major challenges pending in Sacramento that could have a major impact on boating statewide. To learn the facts about dozens of proposed new regulations and fees for watersports enthusiasts, all members of the boating community are invited to attend this year’s first Recreational Boaters of California (RBOC) Forum in Southern California — set for Feb. 29. Co-hosted by Dana Point Yacht Club and the nonprofit RBOC, the RBOC Forum will be held at Dana Point YC. It is free and open to the public. A 6 p.m. happy hour will precede the 7 p.m. presentation, which will be followed by a question-and-answer session. For owners of powerboats, sailboats and human-powered vessels alike, the RBOC Forum will provide an opportunity to learn about key legislative issues being advanced by state and federal regulators. RBOC’s director of government relations Jerry Desmond Jr. will be flying in from Sacramento to serve as the evening’s featured speaker. Other speakers include Dana Point YC Commodore Daniel Hodge, RBOC president Cleve Hardaker of Silver Gate YC and Walt Kadyk, past president of RBOC (2008), a Dana Point YC staff commodore (2000) and current national government affairs liaison for RBOC. Regional RBOC representatives from Newport Beach and surrounding areas will also be on hand to answer questions about local issues. Sacramento-based RBOC (rboc.org) is a nonprofit boater advocacy group that works to protect the interests of the state’s recreational boaters. Financial support comes from more than 50,000 boating families, many of whom are members of more than 190 boating and sailing clubs throughout Southern California. Boat/U.S. is also a significant contributor. In support of its commitment to promoting the enjoyment, protection and responsible use of California waterways, RBOC annually reviews the approximately 2,300 bills that are introduced in the California legislature, targeting a few dozen of specific interest to recreational boaters. * Gov. Brown’s proposal to eliminate the state Department of Boating and Waterways, folding Cal Boating into a division within the Department of Parks and Recreation. Among the issues are questions about tax dollars from marine purchases being diverted from marine-related improvements into the General Fund. * Copper bottom paint restrictions, proposed amendments to SB 623 and reasoned, science-based assessment of the use of low-leach, low-copper-content paints. * Mandatory life jacket wear — an issue that has many fronts. Two of note are the Coast Guard Advisory Council’s consideration of a North American standard to include people older than ages 12-13, the typical current state limit. In waters regulated by the Army Corps of Engineers, that agency has full authority to mandate life jacket use by water users of all ages at all times, without benefit of hearings or public discussions. * Access to navigable waterways, including a proposal to put locks on certain parts of the California Delta that are regularly traversed by recreational boaters, limiting access. * Threats to GPS through planned degradation of the GPS system, due to interference from a proposed new 4G wireless communications system. * Mandatory EPIRB use regulations, discussed for boats 3 miles offshore in any waters — including lakes. * Prop strikes — including regulation currently under discussion that would require boaters to check behind their boats at all times to prevent injuries to swimmers. * Ethanol fuel blend debates — informed by the fact that the USCG stopped using ethanol-based fuels as a result of maintenance issues they were experiencing. Dana Point YC 24399 Dana Drive, and free parking is available. Boaters who plan to attend the RBOC Forum should make reservations by calling the club at (949) 496-2900, or sending an email to commodore@dpyc.org.